Santa Clarita, CA – September 28, 2012 – The best-selling series is back with its third edition, featuring brand-new Wine Dogs from all around the USA. Wherever good wine is made, you’re likely to find a dog scouting the tasting room or winery. 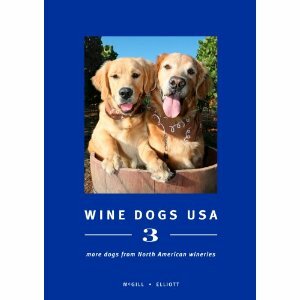 Wine Dogs USA 3 features over 190 wineries across the United States and over 200 stunning photos of their loyal pooches. Along the way, the mutts and purebreds are interspersed with short essays by Robert Parker Jr, Cole Danehower, Eve Bushman, Benjamin Spencer, Greg Duncan Powell and many more. 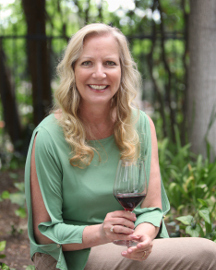 Wine Dogs USA 3 is a photographic journal of stunning pictures and great stories created all for the love of dogs and wines. 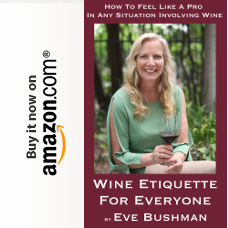 Publication date is October 1 following a book launch party at the dog-friendly St. Supery Vineyards in Napa Valley on October 6. That’s sweet Claudia! I’m sure I’ll be saying the same about you very soon!